Any chance to celebrate is one worth taking, as is evident by the profusion of often dubious national holidays. Adding a touch of whimsy to the monotonous daily routine, marking a date as something special to anticipate, the reason to rejoice is not actually important. Those moving targets simply provide a convenient excuse and a general focus for unscheduled merriment. As silly as National Splurge Day sounds, I still can’t be too mad at it for the joy it must bring a select few. If you have the means and the inclination, why not? While I’m probably the worst person to consult about commemorating a real momentous date on the calendar, such as my own birthday, I can fully appreciate the potential it holds. It somehow figures that my half-birthday, a real non-event if there ever was one, tends to get more attention. No matter how many years and months I tack onto my own age, certain things never get old, such as the love of chocolate chip cookies and brownies. Since it’s my half-birthday, I had half a mind to make something special which resulted in this half-and-half mashup of the two. Baked brownies that emerged from the oven with an impossibly lustrous, glossy, crackled crust seemed almost too beautiful to cover up, but it was too late to pull back on the reins by then. Buttery raw cookie dough smothers the entire sheet pan, more decadent that plain whipped frosting yet not nearly as tooth-achingly sweet. I’m not one to toot my own horn, but I have to admit, these exceeded expectations. First of all, they’re completely gluten-free, which is not my strong suit when it comes to baking, and secondly, there’s no refined sugar. Rather, these decadent treats employ coconut sugar to evoke the nostalgic flavor of earthy molasses, further enhanced by the roasted notes of coffee in the brownie batter. In fact, if you can’t make it past that base and just call it a day with the Best Vegan Brownies Ever©, I won’t blame you one bit. When you want to pull out all the stops and really celebrate life, no matter the real occasion, this dessert is for you. Preheat your oven to 350 degrees and line a 13 x 9-inch baking pan with parchment paper, leaving a good length overhanging the edges to form a sling. This will make for easier removal later on. Lightly grease and set aside. For the brownie base, place the chocolate chips in a large bowl and pour the hot, freshly brewed coffee on top. Let sit for a minute to begin melting the chocolate before stirring. Stir vigorously before introducing the coconut sugar. Continue mixing until smooth, dissolving the sugar and fully melting the chocolate. Pour in the oil and blend until homogeneous. In a separate bowl, whisk together the oat flour, cocoa, baking powder, and salt. Ensure that there are no lumps before adding the dry goods into the bowl of wet. Add the vanilla and nuts last, and mix thoroughly until there are no remaining pockets of flour or cocoa. Don’t worry about over-mixing because there’s no gluten here, so go crazy! Transfer the batter to your prepared pan and bake for 24 – 26 minutes, until the top is crackled and glossy, and the interior is still just slightly moist when a toothpick is inserted into the center. Cool completely before proceeding. To make the cookie dough topping, cut the butter into small cubes before placing them in your food processor. Add the sugar and pulse to combine, pausing to scrape down the sides as needed. Add the vanilla and salt next, blending thoroughly to incorporate. Introduce half of the flour to begin with, allowing the machine to run until its fully integrated. Add the remaining measure of flour and puree once more. If you’d like to keep your chips on the chunkier side, stir them in by hand. I like mine a bit more broken down and random in size, so I toss mine in last and pulse until the pieces are more or less evenly distributed throughout the mixture. It will be very soft, like frosting, at this point. Spread the cookie dough topping over the cooled brownies in a smooth, even layer. Refrigerate the whole pan for 2 hours for more even, clean slices, or cut and serve right away if you simply can’t wait. And sometimes, you feel like a peanut. A peanut butter cookie, to be more specific. Announcements of new national food “holidays” seem to be getting a bit out of control lately, but this one, National Peanut Butter Cookie Day, gets an easy thumbs up from me. Such a classic treat yet so terribly underappreciated, I’m glad this snack time staple is finally getting a moment in the spotlight. Chewy, crunchy, crispy, creamy, chocolatey, salty, spicy, or even savory, there’s no possible way to go wrong when concocting your own. As a peanut butter lover, I have a considerable cache of recipe options myself. Way back in 2009, I devised a way to get the maximum peanut flavor out of a minimum of ingredients and effort. Thus, the easiest cookie ever was born! You probably have all of the components in your pantry right now, just waiting to join forces and create instant sweet tooth gratification. 1-2-3 Peanut Butter Cookies are a fool-proof option for both the baker and the eater. If you’re in the mood for a dessert with a bit of bonus protein and fiber, look no further than these Gluten-Free Peanut Butter Cookies (but PLEASE do look beyond those dreadful old photos.) Red lentils add an unexpected nutrition boost without detracting from the peanut buttery goodness. What’s your favorite type of peanut butter cookie? Do you have a secret formula, or trusted source? How are you celebrating today? Glowing like a bold orange beacon in my kitchen, the allure was irresistible. Undeniably handsome, complex yet versatile, and as rich as Croesus, this new infatuation had all the makings of a wild, illicit love affair. Uninformed outsiders would find it shocking or downright offensive, but the truth is far less controversial than gossip may lead you to believe. Palm oil sourced from Malaysia has a lot to offer for the passionate cook, baker, and eater alike. Mom’s Meet provided me with the opportunity to dig deeper on this topic, shining a light on an incredible ingredient often overlooked by the average American shopper. Malaysian palm oil is sustainably sourced, committed to orangutan conservation, wildlife biodiversity, renewable energy with zero waste, and deforestation avoidance. Being a tropical oil that’s solid at room temperature, most comparisons are drawn to the latest superfood darling, coconut oil. Aside from the obvious differences in color and flavor, palm oil distinguishes itself in its versatility, with a smoke point of 450 degrees, far beyond that of coconut oil’s 350-degree limit. That makes it excellent for high-heat preparations like frying, grilling, or broiling. Melting at around 70 degrees, the fact that it remains solid at room temperature makes it an excellent substitute for harmful trans-fats in commercial products. If you thought coconut oil had the movie theater popcorn game on lock, be prepared for a snacking revolution here. Brilliantly buttery yet still mild in flavor, all it needs is a pinch of salt to make bare kernels shine brighter than any rising star on the silver screen. Once liquefied, Malaysian palm oil can even be emulsified into a golden vinaigrette. Inspired by the Sweet & Spicy Harissa Slaw in Real Food, Really Fast, I tossed my fiery blend with a dab of this orange elixir instead, which was received with positively glowing reviews. That glorious color comes from an abundance of carotenoids, by the way, bearing 15 times more vitamin A than the carrots themselves. Lest you thought I was ignoring my sweet tooth this whole time, rest assured that rigorous testing proved it a highly qualified applicant for baking operations. Chocolate chip cookies came out of the oven soft, moist, tender, and quite beautiful, if I do say so myself. Sink your teeth into one of these behemoths for a healthier taste of a childhood classic, no dairy nor eggs in sight. Cultured butter, infused with both probiotics and luscious flavor, creamy and spreadable, meltable, and downright delectable. No dairy, no nuts, no gluten, no nonsense. I couldn’t keep it in the fridge long enough to test it on loftier goals like homemade croissants or puff pastry, because with just one smear on the average ear of corn or slice of toast, I was hooked. This recipe alone is enough reason to deviate from the typical shopping list and stock up on a new pantry staple. Malaysian palm oil deserves a place in every kitchen across the globe, including yours. Undoubtedly, you’ve eaten it before in packaged foods or used it in cosmetics, but have you cooked or baked with it? With a sustainable source close at hand, unleash your adventurous side and try a splash in your next succulent creation. Thick, soft, and chewy chocolate chip cookies that may just rival what mom used to make! Preheat your oven to 350 degrees and line a baking sheet with either parchment paper or a silpat. In a medium bowl, whisk together the flour, baking powder, and salt so that all of the dry goods are evenly distributed throughout the mixture. Add in the chocolate chips and toss to coat. Separately, combine the sugar, maple syrup, melted palm oil, and vanilla. Stir well, and then add the wet ingredients into the bowl of dry. Using a wide spatula, mix just enough to bring the batter together smoothly without over-beating it. Use a 3-ounce ice cream scoop to portion out cookies, and place them with at least 1 1/2 between each cookie on your prepared baking sheet. They spread out to become sizable cookies, so I usually bake about 9 per sheet. Flatten them out slightly with lightly moistened hands, and bake for 10 – 12 minutes, until barely browned around the edges and no longer shiny on top. They may looks a bit underdone, but they will continue to bake once removed from the oven, and you want to keep them nice and chewy. Let the cookies rest on the sheets for 10 minutes before cooling completely on a wire rack. Homemade cultured vegan butter, infused with both probiotics and luscious flavor is creamy, spreadable, meltable, and downright delectable. Place all of the ingredients into your blender except for the palm oil, and blend until thoroughly combined. While allowing the motor to run on high speed, slowly drizzle in the melted palm oil, allowing the mixture to emulsify smoothly. Transfer the mixture to a glass container and cover. Let it solidify in the fridge for at least 6 hours, or the freezer for 1. The butter will be soft and spreadable straight out of the fridge. It melts beautifully and you can cook with it, too! I haven’t yet tested it for baking, but if you do, let me know about it in the comment section. Properly sealed and chilled, the butter should keep in the fridge for up to two weeks. Winter is in full force, or at least, so I’m told. Forecasts filled with snow and ice threaten large swaths of the US, while records show that this year’s Superbowl was the coldest on record, crushing previous predictions with an icy flourish. Temperatures ranking just above negative numbers boggle my mind; a sensation so unthinkable, so impossible, it’s almost painful to imagine. That’s because beautiful California remains a shining beacon of eternal summer, setting records pushing the mercury up in the opposite direction. Basking in the sunshine on a brilliant 75-degree day, I have to remind myself that this is still February. Somehow, this is still winter. Although that does make it less appealing to crank up the oven, those longer days of bright natural light inspire an endless stream of photo shoots, and with them, new recipes galore. In homage to the flurries still blanketing the rest of the northern hemisphere with frozen white fluff, my mind went to memories of clean, pure, white snow, freshly fallen and immaculate. So delicate were those perfectly formed crystals, which I examined closely on gloved hands as they landed, that they seemed as if they were formed individually by some master craftsman in the sky. These particular snowflakes are cut from the same cloth, but as a handmade treat, still retain personalities all their own. Celebrating simplicity, they’re merely the best vanilla cookie you’ve ever tasted. Boldly infused with powder from the whole bean, they’re not shy about shouting this warm, classic flavor from the rooftops- Or wherever else they may settle. Mochiko is the secret to keeping each bite soft and tender, while remaining firm enough to resist spreading in the oven. Do not confuse this with regular rice flour, as the texture is very different. Whether your snow day involves making snowmen or spending an unseasonably sweltering afternoon in the kitchen, may the end results always be as sweet! Use your stand mixer to thoroughly cream the butter and sugar together. In a separate bowl, sift the flour, mochiko, arrowroot, vanilla powder, salt, and baking powder, stirring well to combine. Add about half of these dry ingredients into the mixing bowl, processing it until fully incorporated. Pour in the non-dairy milk along with the remaining flour mixture. Continue to mix until it forms into a smooth, homogeneous dough. Form the dough into two balls, flatten them out a bit, wrap separately in plastic and chill for at least one hour before proceeding. After the dough has had time to rest in the refrigerator, start heating your oven to 350 degrees. On a lightly floured surface, roll out the first ball of dough to about 1/8th of an inch in thickness. Use your favorite cookie cutters to shape the cookies, and place them on baking sheets lined with silpats or parchment paper. Brush any excess flour off the cookies, but don’t go crazy if it still has a light coating; most of it will bake in seamlessly. Bake for about 8 – 14 minutes, depending on the size of your cookies, until no longer shiny and the edges are firm. Don’t wait for them to brown because they will become overcooked and dry by the time they cool. Cool completely on a wire rack before storing in an airtight container at room temperature. Highly skeptical, but equally ravenous, I tore into the tiny package with abandon. Crunchy cookies never get as much love as the giant, soft and chewy sort popularized by American bakeries; a bias that I too am guilty of possessing. That said, despite being dubious of the format, there seemed to be a lot of potential locked away in these single-serve packages of Zemas Madhouse Wholegrain Cookies. Placing an emphasis on wholesome ingredients and nutritionally sound snacks, these are not just empty sugar bombs to throw down when cravings strike. Rather, they’re designed to satiate and energize, and all in good taste, of course. Sorry to spoil the surprise; each variety wildly exceeded all expectations on that front. 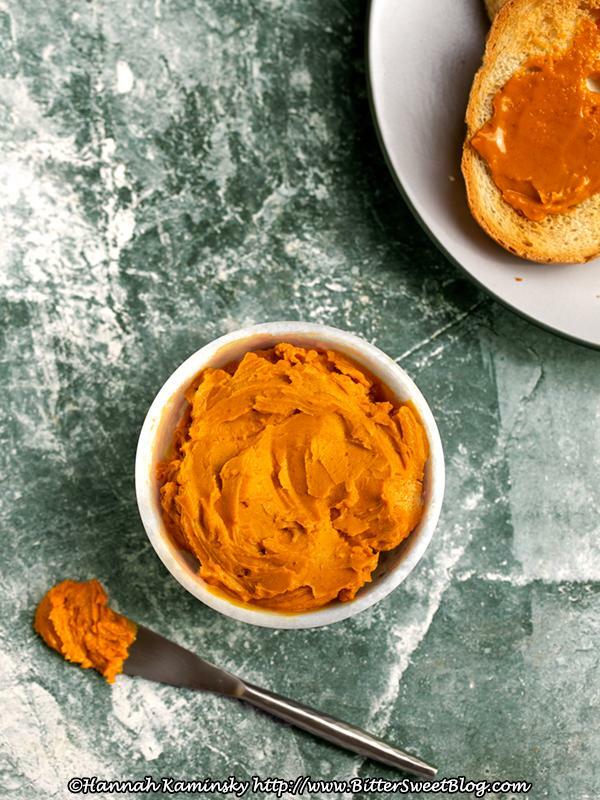 Sweet Potato Spice impresses with a flavor profile that actually tastes like yam, as promised! Tossed in not just for color, but genuine flavor, it’s subtly spiced bite pock marked with equally crisp pepitas for an added nutty undertone. Oatmeal Cranberry follows up with a strong encore of millet, quinoa, and amaranth as well as the aforementioned featured grain. Comforting, cozy, and easy to eat, the addition of chewy cranberries adds nice textural contrast, softening the cookies overall and bringing to mind the warmth of a bowl of hot oatmeal. Chocolate Chip starts with a creamy vanilla base, but that rich chocolate flavor sure does carry! A snack that could transcend all boundaries, this timeless treat would be an easy hit with any crowd. This tastes like childhood but with wisdom beyond its years. Double Chocolate Chip follows up that stellar performance with a slightly softer bite with a pure cocoa base that provides less contrast than the previous option, but supports the chips with a more serious, slightly bitter edge. The overall impact is surprisingly sophisticated for such an unassuming little package. Did I mention that all of these mini cookies, for all their benefits, are also certified gluten-free, non-GMO, vegan, top 8 allergen-free, and kosher? That’s quite a mouthful of dietary designations, which is perhaps fitting for these bold little snacks. Despite my initial misgivings about crunchy cookies, these diminutive treats from Zemas break the mold, offering something that defies the category as beneficial to both the body and soul. Given my extreme aversion to even the slightest hint of cold temperatures, it can be quite challenging to placate the daily cravings for ice cream when the dark ages of winter arrive. Usually, it’s a battle of mind over matter, ignoring the chills that go down my spine, shivering through every sweet lick. Particularly bad cases will send me straight to the tea kettle for sips to thaw out of the inevitable brain freeze. The pain is always worth the pleasure, but surely, there must be a better way to sooth the more sensitive sweet tooth. Not only is there a way to stay toasty and warm while snacking, but there’s an even healthier way to indulge, too. Froozer is a great tasting frozen snack made with 100%fruit – all the goodness and great taste of perfectly ripened fruits, with no added sugar, juice or concentrate. The moment I first tried these wholesome treats, I knew it would shake up my whole winter routine. First of all, these are not mere popsicles flavored with juice or concentrate, but fully blended fruits with nothing added nor taken away. Stunningly creamy and sweet without any sugar, each slow-churned flavor tastes as bright and fresh as a summer’s day. Before I knew it, I was even tossing them into smoothies for instant morning fuel, delicious enough to qualify as milkshakes. Still, as the frigid winds howled with increasing volume outside, I found myself on the verge of a seriously hangry meltdown… When I realized that’s exactly what I should do. Since they’re made of simply whole fruits, each stick is like an instant flavor infusion for any recipe, ready in your freezer whenever you are. Thinking quickly and pulling ingredients from the pantry, it was a matter of minutes before a brand new cookie creation came to be. An edible island escape, the sprightly combination of pineapple, mango, and banana found within each Tropical Sunset frozen fruit snack transforms a pile of shredded coconut into an nutritious and delicious bite of paradise. These coconut macaroons couldn’t be more simple to craft, which is why they suit this no-nonsense source of inspiration so well. It might be tough to sacrifice that perfectly churned, creamy consistency by bringing up the temperature a bit, but once you taste these new, equally satisfying healthy confections, you won’t regret taking the risk. This post was made possible thanks to Froozer and Mambo Sprouts. In a medium-sized bowl, mix together the melted coconut oil, thawed Froozer snacks, vanilla, and salt until smooth. Add in the shredded coconut and stir thoroughly to combine. Once the whole mixture is homogeneous, scoop out cookies with a small ice cream scoop and place on a small sheet pan. Chill until firm, at least 1 hour, or expedite the process by stashing them in the freezer for 20 minutes. Store in an air-tight container either in the fridge or in a cool, dark place. The cookies will keep for 5 – 7 days.